On November 23, the Federal Housing Finance Agency (FHFA) announced that it would increase the conforming loan limit for 2017. 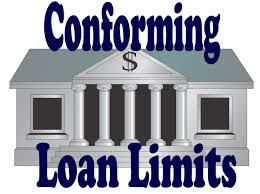 They are also increasing the loan limits for certain “higher-cost areas”. In most of the country, the 2017 maximum loan limit for one-unit properties will be 2017, an increase from $417,000. This will be the first increase in the baseline loan limit since 2006. In higher-cost areas, higher loan limits will be in effect. In areas where 115 percent of the local median home value exceeds the baseline loan limit, the maximum area loan limit will be higher. So, in higher-cost real estate markets, like San Francisco, Los Angeles or Orange County the maximum loan limit for a single-family home loan can be as high as $636,150. For San Diego County the limit has been raised from $580,750 to $612,950 for a one-unit property. The Federal Housing Administration (FHA) loan limits have been set to match the Federal Housing Finance Agency (FHFA). The Department of Veteran Affairs (VA) 2017 Loan Limits are the same as the Federal Housing Finance Agency’s (FHFA) limits. Although, the VA loan guaranty program does not impose a maximum amount that an eligible veteran may borrow using a VA loan but limits the maximum guaranty amount to $424,100 for 2017. So if you are looking to purchase a home with a VA loan above the county limits, then doing so requires borrowers to make a down payment, typically equal to 25 percent of the difference between the limit and the purchase price. For example, a buyer wanting a $725,000 home in a high-cost county would need a $22,212.50 down payment ($725,000 – $636,150 = $88,850) x 25 percent. This example purchase comes with roughly a 3.00% down payment. This is still less than required for FHA or conventional and without mortgage insurance (MI) or private mortgage insurance (PMI). Below, you will find the new loan limits for San Diego County in 2017 for FHA, VA and Conventional. If you have any questions on loan limits in your county how these changes may benefit your clients, please contact me to discuss.